Where are these amazing houses that seem to be out from fairytale? A “Trullo” is a strange house, due to the conical roof and cylindrical shape, built using just polished drystone. These constructions, that seem spawned from the mind of a fantasy writer, were once the typical home for peasant families in Alberobello. How old are the trulli? 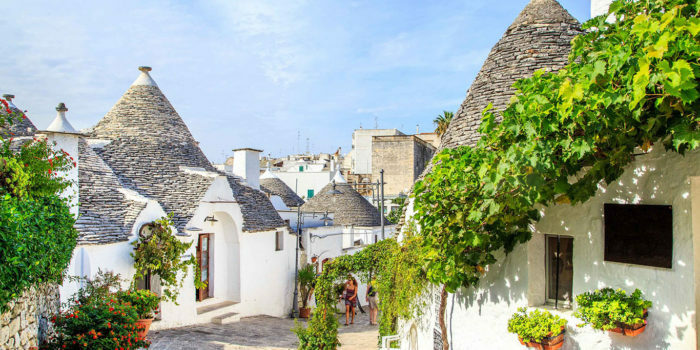 In which part of Alberobello are the trulli? The trulli of Alberobello have been designated as a UNESCO World Heritage site since 1996. 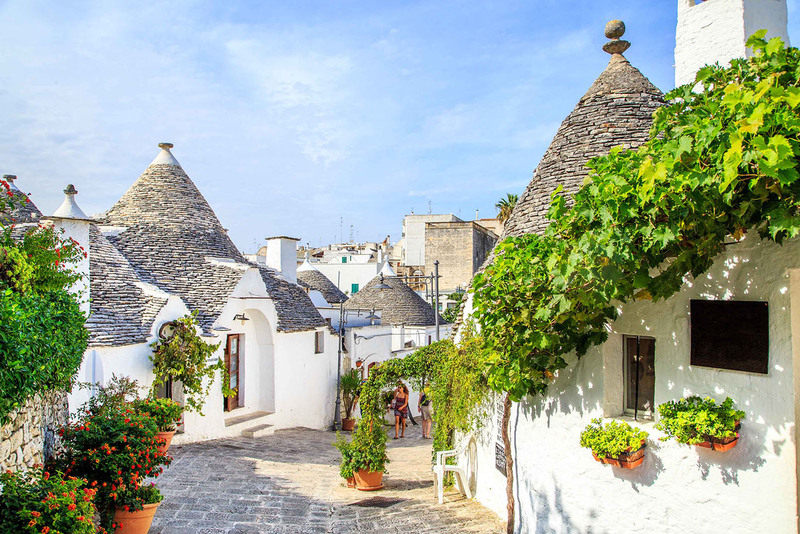 The trulli are mainly located in two parts: Rione Monti, which is the most curatas but also more touristic part of Alberobello, you will find souvenir shops and crowds of tourist, and Aia Piccola, smaller, no shops, much less people and much more authentic! How many trulli are there?